The number one reason to get one is that you are putting the enclosure inside. This isn’t a steadfast rule, simply a good place to start. These usually wire-based enclosures won’t be an eyesore inside your house. In fact, they can look pretty great in the right location. The best part is you will be able to easily see your pet at all times. Another advantage is that they’re relatively portable. If you think you will need to move your pet around a lot, or take them to other locations, it will be pretty easy to do. Not only are they easy to transport, they’re also quite sturdy as well. If cared for, they can last a very long time. Also, their open design allows for quick and easy cleaning. Some might even have a built-in litter box system that makes cleaning even simpler. Simply put, they don’t provide much actual shelter or protection for your pet. If you were to keep it outdoors, your pet would be vulnerable to inclement weather, animal attacks and other dangers. For example, it would be very easy for rain to get in or even a predator. You wouldn’t want them to become coyote food. Think about how cold it can be in the winter. For safety reasons, you wouldn’t want to expose your pet to the cold winter air. Now think about how warm it can get in the summer. Inclement weather can arrive quickly. Will your pet be properly protected from the elements? They usually are not considered to be permanent fixtures. Therefore, for ease of movement, they tend to be on the smaller side. This isn’t an ideal situation. Bunnies usually prefer to have as much extra space as possible and open space is important for their health as well. A hutch will usually be the most obvious choice for your big-eared buddy’s shelter. 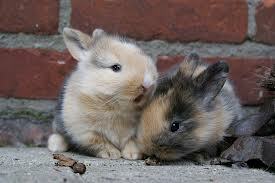 They’re the most common choice for a rabbit home, especial one that will be located outdoors. One great thing about them is they can be made fairly large, and be customized to your liking. If you really wanted to, you could get some wood and add additional living space to the hutch, such as an extra area for them to run around. Many of them also have flat bottoms, which is a lot better for your bunny’s feet than hard wires. If the floor still isn’t soft enough you could easily add something like cardboard or padding to make things more bunny-friendly. Consider adding a special warm and comfortable area to be their bed. A hutch will usually be made from wood and other materials. 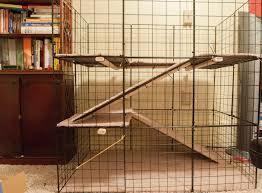 When it comes to where your pet will be living, quality materials are important. 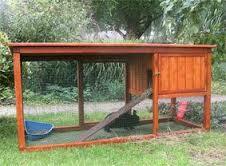 The enclosure will act as a bed, litter box and playground for your little friend. They will even eat their food in there. You will want to make sure that everything is perfect for them. 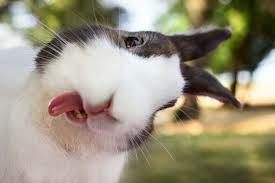 Depending on how they’re designed, it can sometimes be hard to see your rabbit in action. They also tend to be quite closed in, allowing very little light to shine through. It may also be rare for your little friend to get a glimpse of the outside world. The health and safety of your pet are the most important things to consider when choosing an enclosure. They need to be safe and protected from the elements. There are many advantages and disadvantages to consider when choosing an enclosure for your bunny.